What is the most beautiful sound you’ve ever heard in music? For me, it were Freddie Mercury’s vocals on A Night At The Opera! I’m sure many of you would have picked your favourite vocal performance as well! There are unique inflections in every performance, which reveal the artist’s soul and allow us to deeply connect with the song. It’s the vocals that make us fall in love with a song and listen to it on repeat! With 20db – 30db of range, they are one of the most dynamic recordings we deal with. When you try to control these dynamics by using Compression, all of a sudden unwanted side effects appear: Over-emphasized sibilance makes the vocals sound harsh, or the Compression brings up Headphone Bleed and Air-Conditioning noise, which muddy up the whole mix. Another issue you might run into is that the singer has a slightly different tone in each take you’ve comped together for the final performance. – Which makes it darn near impossible to find the perfect EQ settings! PLUS there are just so many approaches to mixing vocals in general: You may want to craft a soft and intimate vocal sound for a singer-songwriter track, an agressive, in-your-face Rock vocal, or create a stadium feel to go with a massive Pop production.Each of which requires completely different processing! In order to nail every vocal you mix you touch, you have to have a great arsenal of mixing techniques at your disposal – so you can cherry-pick the right approach for any situation. 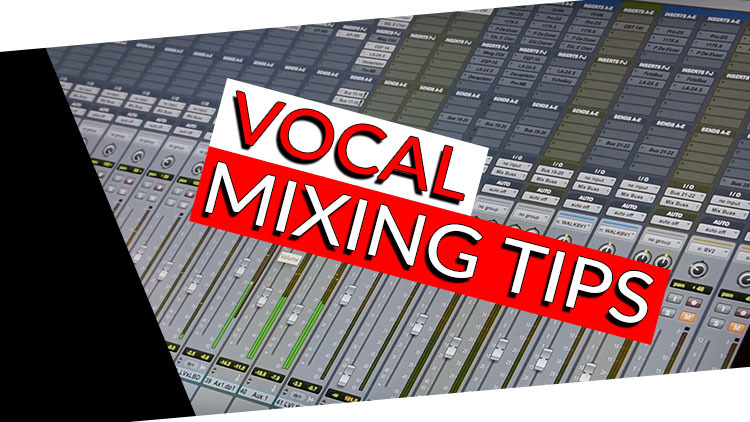 Today, we’re going to stock up your vocal mixing arsenal! Learn the techniques of 4 Grammy-Winning and Platinum-Selling Mixers, each mixing a completely different genre! Legendary Rock producer Cameron Webb (Sum 41, NOFX, Megadeth & Limp Bizkit) mixing a Lemmy’s vocals in the song ‚Electricity‘ by Motörhead – You heard that right: Motörhead! All of these tutorials are exerpts of complete start-to-finish mixing classes, which include All Multitracks of the featured songs. – Yes… you can download and mix an original Motörhead song! We have some sweet Black Friday deals coming up at promixacademy.com, where you SAVE UP TO 88%! So keep an eye out!